This site offers an interactive tutorial that emphasizes graphical interpretation of chemical kinetics. 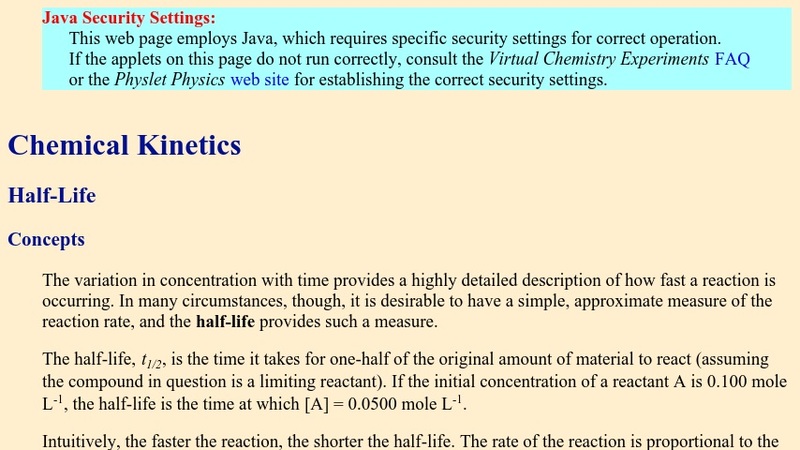 The half-life is measured for various initial concentrations for zero-, first-, and second-order reactions. The data is analyzed graphically to determine the relationship between the half-life and reactant concentration for each order reaction and to determine the rate constant for each reaction. This tutorial is coupled to others to further guide the student to a better understanding of chemical kinetics.